Buried Location / Memorial (P.O.W., D.O.W., K.I.A.) : MORNINGTON CEMETERY, VICTORIA, AUSTRALIA. 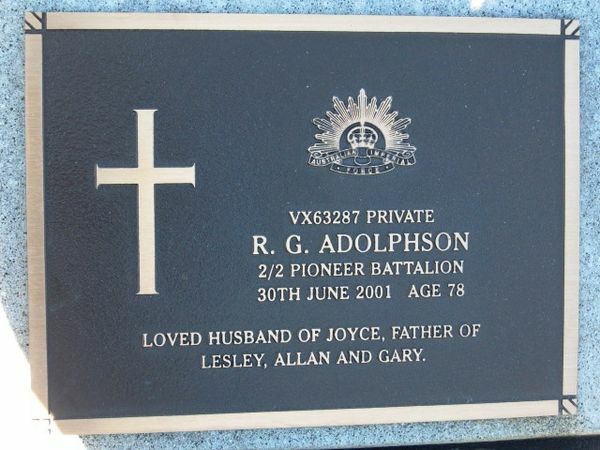 Background : Brother of VX63126 Frederick Arthur Adolphson (2/2 Pioneer). Repatriated to Australia on Moreton Bay.